If there’s any company who needs to revive again from the quagmire, it’s none other than HTC. Their latest flagship deice, HTC One M9 did not sell quite well as expected and most importantly, the stock price of the company has also plummeted down. Seems like HTC is going for another shot, a do-or-die situation by releasing another new flagship device. Please note, this isn’t officialy at all as the images are leaked and have been provided by Steve Hemmerstoffer who runs the @onleaks account. 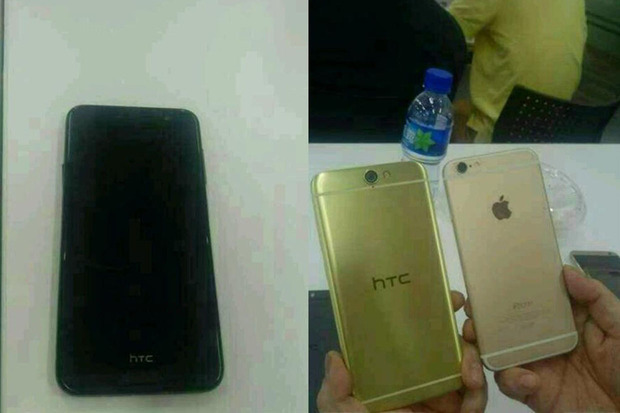 The images aren’t that of great quality but the device seems to be heavily inspired from Apple’s iPhone 6. The leaked images shows the device having prominent antenna lines and is flattter. The release of the leaked images are in line with a ‘hero product’ that is supposed to be released in October as suggessted by the HTC CEO Cher Wang. According to reports, the phone might be armed with a deca-core MediaTek X20 processor, 3,500mAh battery and a 4GB of RAM.